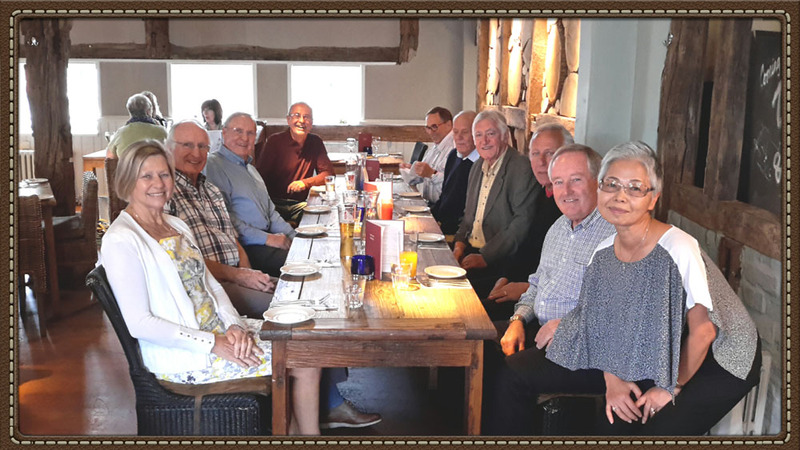 Phil Bowell has kindly sent in a photo of a lunch held at the Red Lion in Handcross with a few friends..
Mackenzie and Kay were last based in Los Angeles in the BCAL days where Mackenzie was the Vice President Western USA. A great guy and great to see him again. Pauline Bowell, Trevor Boud, Mackenzie Grant, Rohan Alce, Peter Smith, Graham Broadbridge, Trevor Warburton, Alan Reeves, Phil Bowell and Kay Grant.